I'm thoroughly impressed with the way the author presented her story. Who would have thought about incorporating fairytale items into the story? That's so refreshing! It's so interesting to read each item and their usage through Bianca's journey with her friend, Ming. They also met up with Prince Ferdinand and his assistant, Terrance. I admire Bianca's spirit. She remained strong even when faced with something so shocking and terrifying. She plunged into the magical world without thinking when faced with danger and didn't blame her friend from backing out. Truly admirable. I only had a problem with Prince Ferdinand in the book. Probably because I'm used the cool prince and Prince Ferdinand was totally different and more to the humorous side. Nevertheless, it's still an enjoyable read on the whole. I'm definitely looking forward to more of Liz's unique fairy tale stories! "I can't call the police. They won't find her. I don't even know where to start looking for her." "Umm...have you seen CSI? They can find anyone." "My grandfather and uncles were ashamed of my father. They think he's a disgrace to his own kind. At least that's what he's told me. I've never actually spoken to any of the members of my father's side of the family. But I can only assume that they love what they are: they love singing to the moon, hunting, their sharp claws and teeth..."
Click here to read my interview with Liz! Liz DeJesus was born on the tiny island of Puerto Rico. She is a novelist and a poet. She has been writing for as long as she was capable of holding a pen. She is the author of the novel Nina (Blu Phi'er Publishing, October 2007), The Jackets (Arte Publico Press, March 31st 2011) and First Frost (Musa Publishing, June 2012). 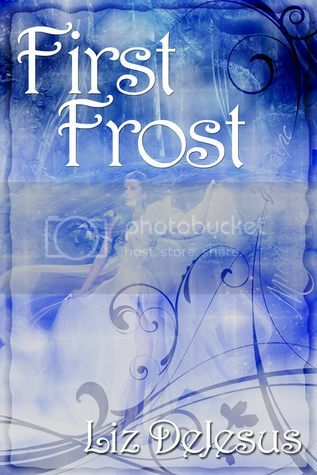 Liz is currently working on a romance novel and the sequel to First Frost.